The Financial Times (FT) is an international business newspaper printed on distinctive salmon pink broadsheet paper. The paper was started in 1888, in London. The paper's main focus is British and international business and economic news. Its editorial stance is center-right, although it is considered more liberal than its rival, the Wall Street Journal. The periodical is printed in 23 cities throughout the world and has the second highest circulation among daily financial newspapers, behind the Wall Street Journal. The FT is firmly established as one of the world’s leading sources of business information, particularly European financial information, internationally recognized for its authoritative, accurate, and incisive news, comment, and analysis. FT.com is the Internet partner of the FT newspaper, providing news, comment, data, and analysis. The FT has a significant influence on economic decision-making of those in government and corporate society worldwide. The Financial Times was launched as the London Financial Guide on January 9, 1888, by James Sheridan, with Horatio Bottomley serving as its first chairman. The paper renamed itself the Financial Times a month later. Describing itself as the friend of "The Honest Financier and the Respectable Broker," it was initially published as a four page journal from its headquarters in London. The initial readership was the financial community of the City of London. The Financial Times soon established itself as the sober but reliable "stockbroker's Bible." In 1893, the FT began to use salmon pink newsprint—a masterstroke that made it immediately distinguishable from its competitor, the more daring but similarly named Financial News (founded 1884). Today, a good number of financial newspapers in various countries also use salmon pink newsprint to distinguish themselves from local general interest newspapers. From their initial rivalry, the two British papers merged in 1945 to form a single six-page newspaper. The Financial Times brought with it a higher circulation, while the Financial News provided enormous editorial talent. Over the years, the newspaper grew in size, readership, and breadth of coverage. It also established a network of correspondents in major cities around the world, reflecting early moves in the world economy towards globalization. As cross-border trade and capital flows increased rapidly during the 1970s, the FT began a program of international expansion, facilitated by developments in technology and the growing acceptance of English as the international language of business. On January 1, 1979, the first FT to be printed outside the UK rolled off the presses in Frankfurt, Germany. Since then, with its greatly increased international coverage, the FT has become a truly global business newspaper, printed in 23 locations worldwide, with three international editions to serve the needs of its readers in the UK and worldwide. The European edition is distributed in Continental Europe, the Middle East, Africa, and Asia. It is printed Monday through Saturday, at five strategically located print centers across Europe. Thanks to its extensive network of correspondents reporting from all the political and commercial nerve centers of Europe, the FT is widely regarded to be the premiere news source involving the European Union, the Euro, and European corporate affairs. In 1997, the FT launched the U.S. edition, printed in New York City, Chicago, Los Angeles, San Francisco, Dallas, Atlanta, Orlando, and Washington, DC. In March 2006, the FT's U.S. circulation was 137,845. In September 1998, the FT became the first UK-based newspaper to sell more copies internationally than within the UK. The FT reports a circulation of over 440,000 copies worldwide, and a readership of 1.3 million people in over 110 countries. Since 2000, the FT has published a German language edition, Financial Times Deutschland, with its own news coverage. 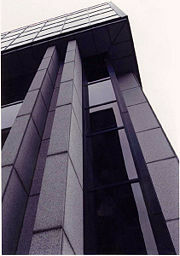 In July 2006, the FT announced a "New Newsroom" project to integrate the newspaper more closely with the online FT.com. At the same time, it announced plans to cut the editorial staff from 525 to 475. In August, it announced that all the required job cuts had been achieved through voluntary layoffs. In 2007, the online FT.com attracted 5.3 million (ABC electronic figures January 2007) unique monthly users, generating over 40 million page views and over 93,000 subscribers. The FT reports comprehensively on business and features very extensive international stock and financial product listings. It also has a sizable network of international reporters—approximately one fourth of its journalists are based outside the UK. The FT is usually in two sections, the first section covers national and international news, while the second section covers company and markets news. How To Spend It magazine is a monthly magazine that is usually published with the Financial Times Weekend Edition. The large, glossy magazine has won the hearts of many Weekend Edition subscribers, with its details on the latest in the glitz and glamor of the high-life. The articles mostly concern high quality products: yachts, mansions, apartments, designs, haute couture, automobiles, fashion advice, and columns by important individuals in the arts, gardening, food, the hotel business, and travel industries. It regularly themes its issues, such as "Travelling Unravelled," "A Passion for Fashion," "Superior Interiors," and its annual "Christmas Unwrapped." How To Spend It has won numerous prizes for being the best newspaper supplement of the year. The Financial Times is normally seen as center-right/liberal, although to the left of its principal competitor, The Wall Street Journal. It advocates free markets and is generally in favor of globalization. During the 1980s, it supported Margaret Thatcher and Ronald Reagan's monetarist policies. Later, however, it aligned itself with the Labour Party in the UK. FT editorials have tended to be pro-European Union, though often taking a critical view. The Lex column is a daily feature on the back page of the first section. It features analyses and opinions covering a range of business and financial topics and is global in scope. The FT calls Lex its agenda-setting column. It first appeared in 1945. The origin of the name of the column remains uncertain. It was conceived by Hargreaves Parkinson, who originally conceived it for the Financial News in the 1930s and took it to the FT when the two papers merged. FT Knowledge is an associated company, through Pearson PLC, which offers educational products and services to a variety of customers. FT Knowledge has offered the "Introducing the City" course (which is a series of Wednesday night lectures/seminars, as well as weekend events) since 2000. Financial Times Group includes the Financial Times, FT.com, a 50 percent shareholding in The Economist, Interactive Data Corporation (a market data provider), ownership of Les Échos (a Paris-based financial daily), mergermarket (an online intelligence reporting family), and numerous joint ventures including Vedomosti in Russia. In addition, the FT Group has a unit called FT Business which is a provider of specialist information on retail, personal, and institutional finance segments. It is a publisher in the UK of Investors Chronicle (a personal finance magazine), The Banker, Money Management, and Financial Adviser (a publication targeted at professional advisers). In 2006, the Financial Times also ran a business-related game called "In the Pink" (a reference to the color of the newspaper, and to the phrase "in the red" meaning to be making a loss). The player was put in the virtual role of Chief Executive and the goal was to have the highest profit when the game closed. The winner of the game received a prize of £10,000. A number of former FT journalists have gone on to high-profile jobs in journalism, politics, and business. Robert Thomson, previously the paper's US managing editor, became editor of The Times. Will Lewis, a former New York correspondent and News Editor for the FT, became the editor of the Daily Telegraph. Andrew Adonis, a former education correspondent, became an adviser on education to Tony Blair, the British prime minister, and was given a job as an education minister and a seat in the House of Lords after the 2005 election. Ed Balls became chief economic adviser to the Treasury, working closely with Gordon Brown, the Chancellor of the Exchequer before being elected as an MP in 2005. Bernard Gray, a former defense correspondent and Lex columnist, was chief executive of publishing company CMP before becoming chief executive of TSL Education, publisher of the Times Educational Supplement. ↑ Encyclopedia Britannica, Financial Times. Retrieved February 13, 2008. ↑ Burrelles Luce, 2006 Top 100 Daily Newspapers in the U.S. by Circulation. Retrieved September 10, 2008. ↑ Financial Times, FT General Information. Retrieved February 13, 2008. ↑ New York Times, Financial Times Plans Layoff of 200. Retrieved February 13, 2008. ↑ Editors Weblog, UK: Financial Times debuts redesign. Retrieved February 13, 2008. ↑ Pearson, Financial Times unveils global refresh. Retrieved February 13, 2008. ↑ Financial Times, The sharper FT. Retrieved February 3, 2008. ↑ Financial Times, Barber's revamped FT makes a colourful debut. Retrieved February 13, 2008. ↑ Pearson, Financial Times launches new brand advertising campaign. Retrieved February 13, 2008. ↑ Pearson, Pearson Annual Report 1997. Retrieved February 13, 2008. ↑ Financial Times, About Lex. Retrieved July 8, 2008. Arnold, Glen. 2004. The Financial Times Guide To Investing: The Definitive Companion To Investment and The Financial Markets. Financial Times/Prentice Hall. ISBN 0273663097. Kynaston, David. 1988. The Financial Times: A Centenary History. Viking Adult. ISBN 0670812951. Vaitilingam, Romesh. 2007. The Financial Times Guide to Using the Financial Pages. Financial Times/Prentice Hall. ISBN 9780273622017. This page was last modified on 10 April 2017, at 18:01.